FRANKFURT (Reuters) -- Opel's decision to close its car plant in Bochum, Germany, has dealt a setback to restructuring talks with its German labor force, trade union IG Metall said. "We are further away from negotiating an agreement than before. A deal is scarcely possible before Christmas, probably," said a spokesman for the union's regional chapter in North Rhine-Westphalia, home to the Bochum site. An IG Metall committee will meet in Frankfurt on Wednesday to discuss how to proceed following the announcement that management saw no alternative to its plans to end vehicle production in Bochum. 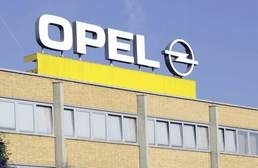 Opel confirmed on Monday it will close Bochum in 2016 when the current version of the Zafira minivan is replaced, as the automaker does not expect Europe's auto market to recover soon. The factory, which is in Germany's Ruhr valley manufacturing area, employs 3,300 workers.